Tuna salmonella outbreak linked to tuna from Vietnam. As the cases continued to report, interviews were conducted with all of the victims. It became readily apparent that the victim pool had consumed sushi at a much higher rate than the average household, and targeted interviews soon identified tuna a the likely source. Trace-back evidence led investigators to a common source, Relish Foods. Thereafter, testing of that product confirmed that it contained salmonella. But in a strange twist, the salmonella strain found in the Relish Foods did not match the salmonella strain in the victims stool cultures. This is somewhat confusing because tuna is different from chicken of ground meat in that there is typically no naturally occurring salmonella in tuna environs like there is in chicken and beef production. Salmonella must be introduced into the tuna production, and hence finding separate strains is unusual. As of now, at least 30 victims in 7 states, including Washington, Oregon, Texas, Florida, California, Hawaii, and New Jersey, have been confirmed in this salmonella outbreak. Note: Ron Simon & Associates represented the majority of the victims in the most recent outbreak of Salmonella linked to tuna, where the tuna was imported from India. 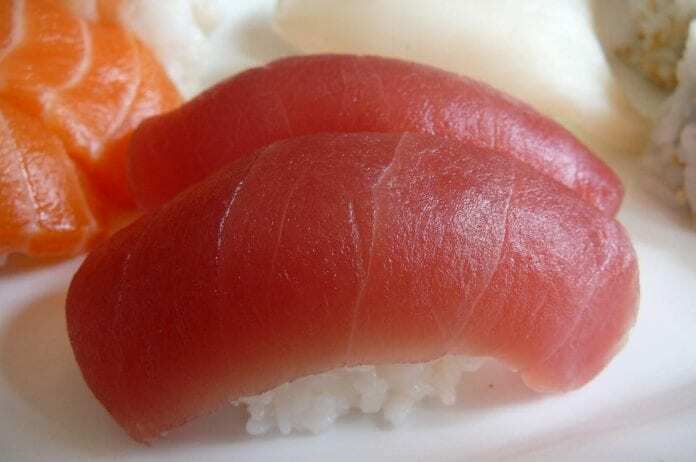 In that outbreak, the tainted product was tuna scrape, often used in spicy tuna rolls in sushi restaurants. For more information about this tuna salmonella outbreak, call 1-888-335-4901.